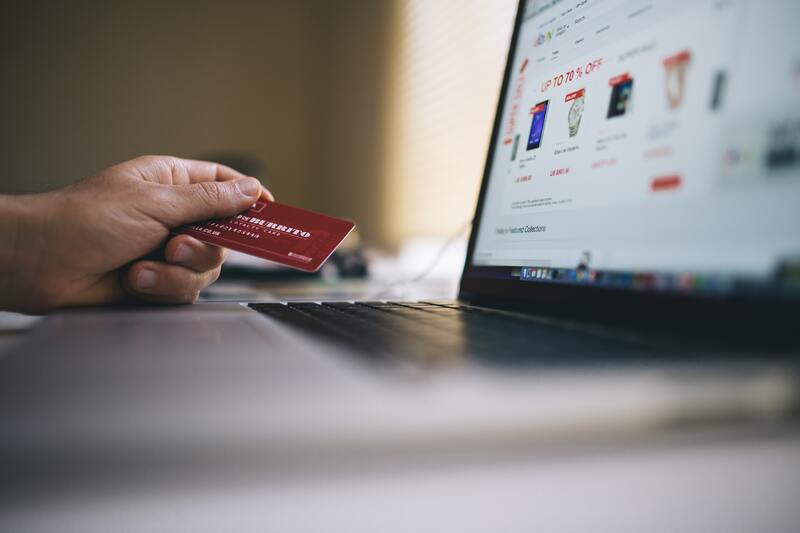 As explained in previous articles, the U.S. Supreme Court overturned the physical presence requirement for creating sales tax nexus in a certain state with the case of South Dakota v. Wayfair Inc. ruled on June 21, 2018 (also referred to as “the Wayfair case”). 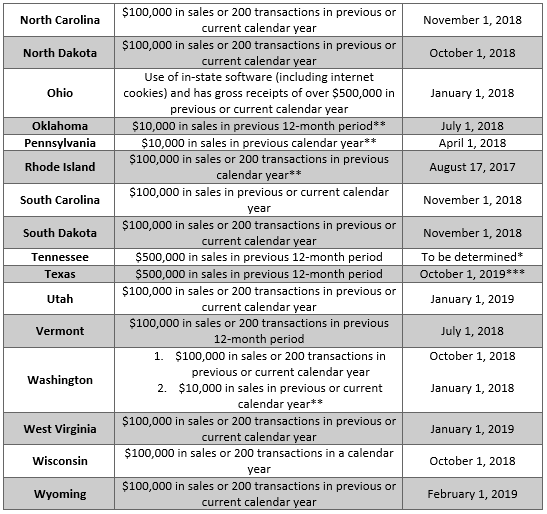 Most of the states have now adopted new economic sales tax nexus standards, requiring a remote seller with no physical presence in the state to collect and remit sales tax if it exceeds certain economic nexus standards. While it was still waiting on a response from larger states, Texas has for example adopted legislation that will be enforced at the end of 2019 and California will probably announce legislation in the coming weeks. In addition, the New York State Department of Taxation and Finance issued a notice last week with respect to businesses with no physical presence in the state that immediately became effective. 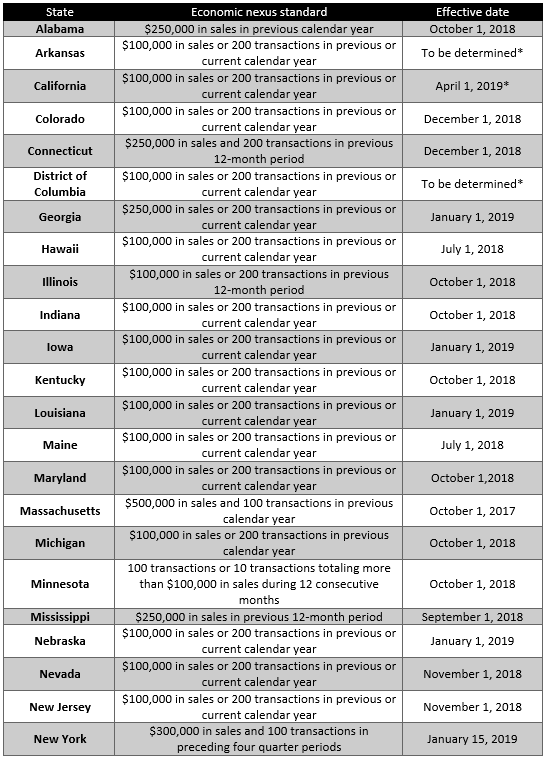 To note: the majority of the states use the same standard as South Dakota ($100,000 in sales or 200 transactions) but New York & Texas have amongst others a different threshold. Below is a general overview of states with (proposed) economic sales tax nexus standards, others may follow in the future. * Update on effective/enforcement date still to be provided or legislation still needs to be adopted. ** Sellers can elect to either collect and remit sales tax or comply with notice and reporting requirements. *** Legislation effective as of January 1, 2019 but enforcement as of October 1, 2019.